Cement mixing plant water supply system in the choice of the water is very important, when selecting a location is bullish on whether there is a local day hot water first, if there is a must choice first day hot water, and can greatly reduce the production cost.Storage device is mainly composed of pools and water tank, in small places of the field in general will sink in the bottom of the silo design, water volume is generally not less than 4 m after, also can be together and admixture the pool design, water tank may be placed on a stir below the main station, or mixing station weighing layer. CamelWay Machinery manufacture develops and produces tower cranes which will satisfy your different requirements. The company also provides project consulting services, for example, power station and plant construction or the construction elevators. We will try our best to service for you and build win-win business with you. Welcome to contact us. 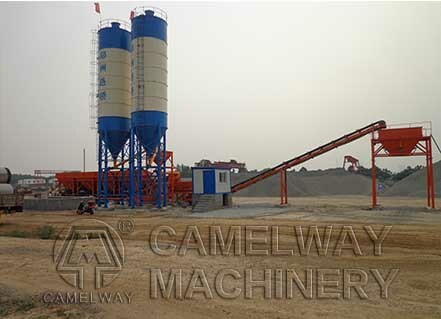 This entry was posted in Solution and tagged concrete baching plant by camelway. Bookmark the permalink.